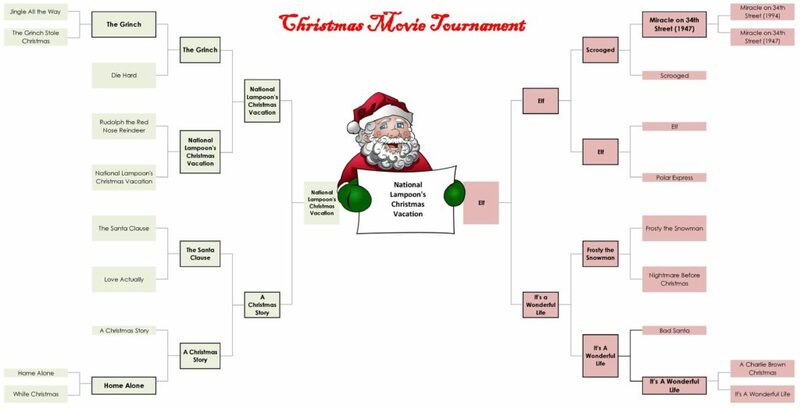 We have a BASYS Processing 2016 Christmas Movie Tournament winner! As the bracket progressed, choosing became much more difficult. There are so many Christmas movies that are truly classics, or sentimental from seeing every holiday growing up, or both: Christmas Vacation, Home Alone, A Christmas Story, Rudolf, Frosty, Scrooged, It’s a Wonderful Life, Miracle on 34th Street, The Grinch, Elf…. how do you choose? The days of December progressed, and there were winners and losers. The votes were close. The inter-office debates were full of seasonal passion. We even had one hotly contested re-match. National Lampoon’s Christmas Vacation ! May your Christmas bonus be big, your holiday lights turn on the first time, and your cousin Eddie never show up with a dog or an RV.